Bangladesh remains one of the world’s poorest and most densely populated countries despite its considerable development gains in the past several decades, including in the areas of gender parity, education, and infant and maternal health (MEF, 2009). Low economic strength, inadequate infrastructure, low level of social development, lack of institutional capacity, and a higher dependency on the natural resource base makes Bangladesh particularly vulnerable to climate stimuli (including both variability as well as extreme events). Recognizing these vulnerabilities, Bangladesh has developed many adaptation measures to address adverse effects of climate change based on existing coping mechanisms and practices. Bangladesh, except for the hilly regions in the northeast and southeast and terrace land in northwest and central zones, is one of the largest deltas in the world, formed by the dense network of the distributaries of the mighty rivers namely the Ganges, the Brahmaputra and the Meghna. The country is located between 20°34’ to 26°38’ north latitude and 88°01’ to 92°42’ east longitude. The total land area is 147,570 sq. km. and consists mostly of low and flat land. A network of more than 230 major rivers with their tributaries and distributaries crisscross the country. It has a population of about 131 million (BBS, 2002) with very low per capita Gross Domestic Product (GDP) of US$ 351 per annum (UNDP, 2004). Of this, just about a quarter was in the urban areas including the metropolitan cities . The country’s economy is primarily agricultural, and the majority of the population depends on agriculture for their livelihoods(USDS, 2010). The country’s main crops are rice and jute, along with maize, vegetables and tea. 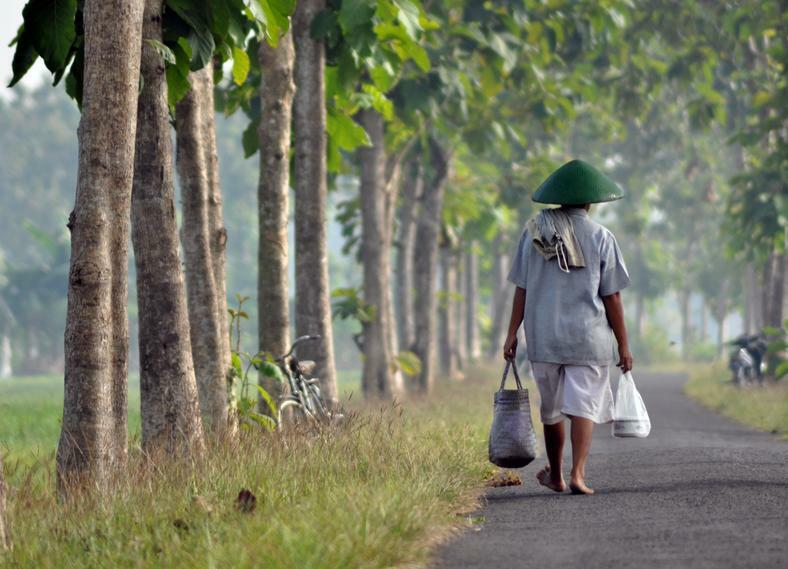 Its vulnerability is increased by local dependency on agricultural livelihoods - agriculture in Bangladesh still provides employment to over 43% of the country’s workforce and 60% of all employed women - and low adaptive capacity within the government and communities. Char (island) communities face a particularly high level of exposure to natural disasters. The project is expected to begin implementation in late 2019. Resources sought from the Adaptation Fund (AF) will be invested in four components. Firstly, it will assist households to enhance the resilience of their houses and livelihoods to climate change-induced flooding, cyclones, saline intrusion and droughts. Secondly, it will improve community-level infrastructure, including embankments with modern climate-resilient technology and effective local management practices. Thirdly, it will assist the Bangladesh Cyclone Preparedness Programme (CPP)1 under Disaster Management Department, to enhance its activities in the remote coastal char targeted by the project, in order to provide timely early warnings and effective emergency response. This will be done by expanding the programme’s coverage in the area, modernising its equipment, and making it fully gendersensitive. Finally, the technology, approaches and knowledge generated by the project will be used to build the capacity of the local and national government; and communities to make climate-resilient investments and policies. The project will address the knowledge technical, financial and institutional barriers to climate-resilient housing, infrastructure and livelihoods, with interventions benefiting an estimated ~341,000 people (~31,000 direct beneficiaries and 310,000 indirect beneficiaries) living on chars in the districts of Rangpur and Bhola. Spanning over five years, the project will be implemented by the Ministry of Environment, Forest and Climate Change following UNDP’s National Implementation Modality. The project will contribute towards the achievement of the Government of Bangladesh’s national priorities as outlined in the Bangladesh Climate Change Strategy and Action Plan (BCCSAP) and Nationally Determined Contribution (NDC). Six of the ten near-term areas of intervention identified by the first NDC will be addressed by the project, namely: i) food security, livelihood and health protection, including water security; ii) comprehensive disaster management; iii) coastal zone management, including saline intrusion control; iv) flood control and erosion protection; v) climate-resilient infrastructure; and vi) increased rural electrification. Furthermore, the project is directly aligned with seven of the fourteen broad adaptation actions prioritised by the first NDC, namely: i) improved early warning systems; ii) disaster preparedness and shelters; iii) protection against tropical cyclones and storm surges; iv) provision of climate-resilient infrastructure and communication; v) provision of climate-resilient housing; vi) stress-tolerant crop variety improvement and cultivation; and vii) capacity building at individual and institutional level to plan and implement adaptation programmes and projects. This project has been developed through extensive stakeholder consultations, including with communities in the selected islands, civil society and with the GoB (see Annex C). The design of the project has been reviewed as per the Government of Bangladesh’s internal process, led by the Adaptation Fund Designated Authority and involving relevant government ministries. Output 1.1. Cyclone and flood resilient houses for the most vulnerable households are supported. Output 1.2. Community-level nano-grids installed for electrification to enhance adaptive capacity. Output 1.3. Locally appropriate rainwater harvesting systems for safe drinking water and home-garden irrigation installed. Component 2. Increased climate resilience of communities through climate-resilient infrastructure, climate risk mapping and inclusive cyclone preparedness. Output 2.1. Climate-resilient infrastructure built to protect life and prevent asset loss. Output 2.2. Embankments repaired and innovative model for community embankment management introduced. Output 2.3. 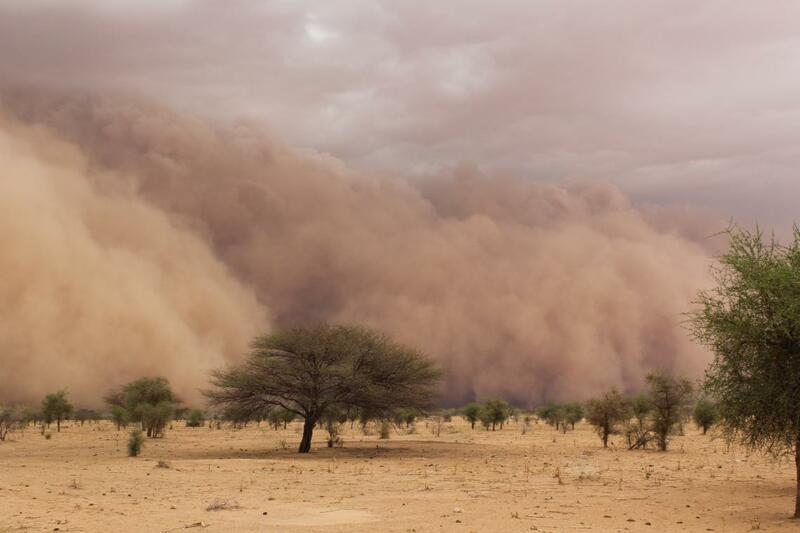 Climate-resilient investment on chars promoted through climate hazard maps and expanded cyclone early warning systems. Output 2.4. Cyclone Preparedness Programme (CPP) modernised, made gender-responsive, and expanded to provide timely cyclone early warning and response at scale. 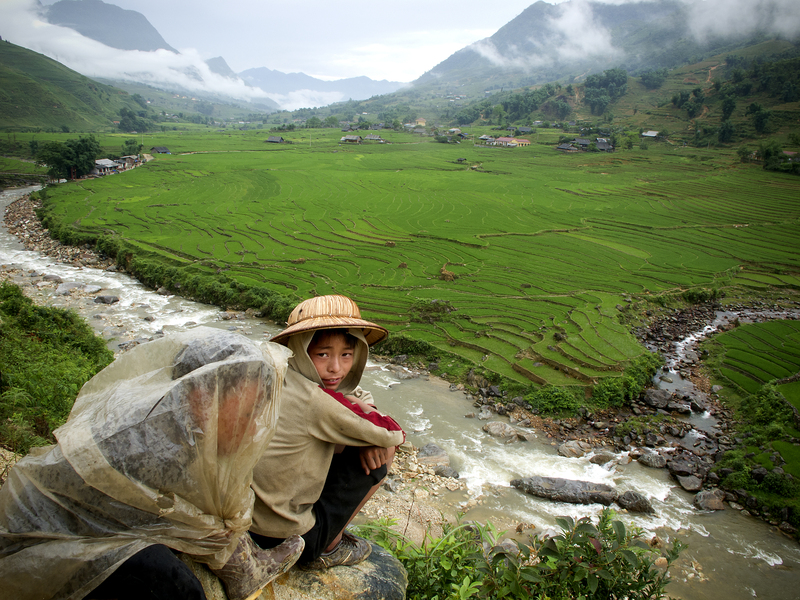 Output 3.1 Climate-resilient agriculture implemented and supported at a community level. Output 3.2 Diversified livelihoods developed and supported for the most vulnerable households. Output 4.1. Local government institutions are capable of climate risk-informed planning and implementation. Output 4.2. Knowledge and awareness generated to promote climate resilient approaches and strategies. Monitoring and evaluation will examine the impact, outcomes, processes and activities of the project with key evaluations undertaken and the start and on a quarterly basis, with an annual Project Performance Report (PPR) delivered to the donor each year. Periodic monitoring will be conducted through site visits by the UNDP Country Office and the UNDP RCU, based on the agreed schedule in the project's Inception Report/Annual Work Plan, to assess first-hand project progress. The project will undergo an independent Mid-Term Evaluation at the mid-point (in the third year) of project implementation. An independent Final Terminal Evaluation will take place three months prior to the final Project Board meeting and will be undertaken in accordance with UNDP and Adaptation Fund guidelines. The project will address the knowledge technical, financial and institutional barriers to climate-resilient housing, infrastructure and livelihoods, with interventions benefiting an estimated ~341,000 people (~31,000 direct beneficiaries and 310,000 indirect beneficiaries) living on chars in the districts of Rangpur and Bhola. This briefing on the process to formulate and implement the National Adaptation Plan in Bangladesh considers firstly the country context and the climate change risks. The groundwork for supporting the NAP is considered, covering the policy, planning and budgetary framework, priority adaptation sectors in NDC, climate assessments, the implementation of adaptation actions and plans thus far. The briefing contains a timeline of the Bangladesh NAP process. Challenges, successes and opportunities are also discussed. The country has been allocating budget to climate-change adaptation for over a decade. 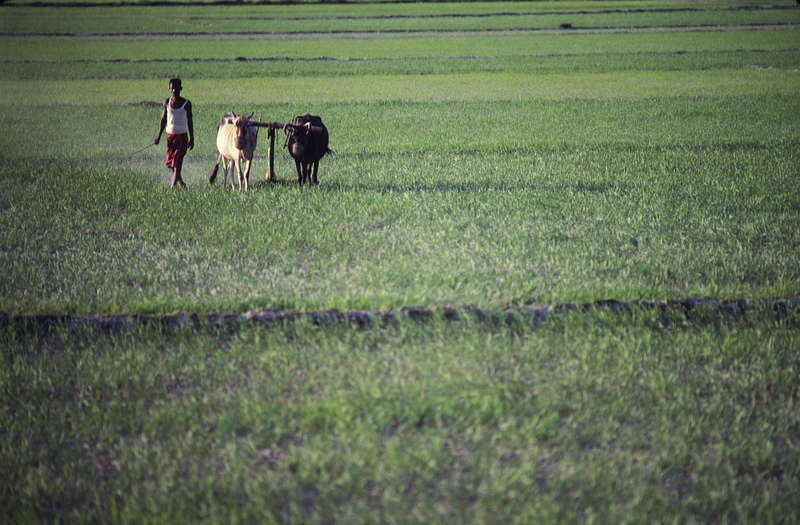 In 2005, Bangladesh became one of the first two Least Developed Countries to produce a National Adaptation Programme of Action. In 2008–2009, the Government formulated the Bangladesh Climate Change Strategy and Action Plan, effectively grounding all subsequent national climate change adaptation activities. 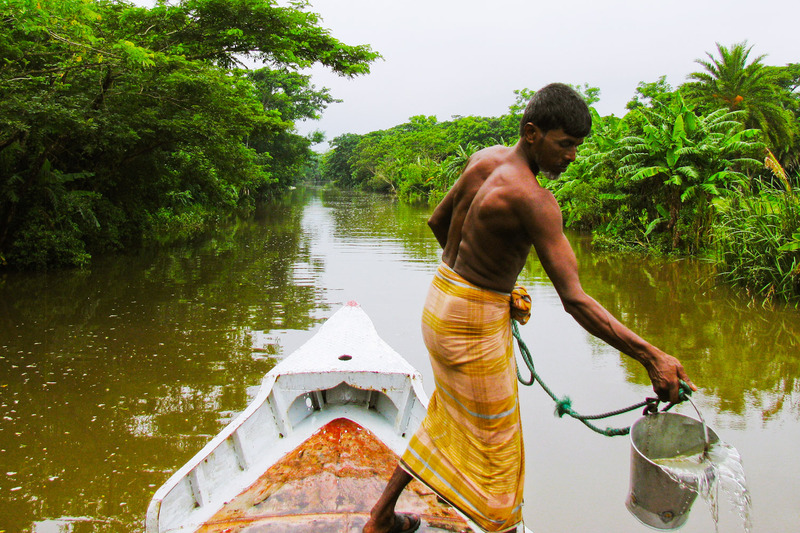 With a grant approved by the Global Environment Facility Least Developed Countries Fund in December 2017, the project Integrating Climate Change Adaptation into Sustainable Development Pathways of Bangladesh ​will enhance the availability of information on climate change, in support of the NAP process; appraise adaptation options, including ecosystem and social costs and benefits; and build institutional capacity for effective integration of climate change into national budgeting and fiscal decision-making. Lead by the Bangladesh Ministry of Women and Children Affairs, this project focuses on strengthening the adaptive capacities of coastal communities, especially women and adolescent girls, to cope with impacts of climate change-induced salinity on their livelihoods and water security. The 6-year project (2018-2024) focuses on the Southwestern coastal districts of Khulna and Satkhira, both of which frequently experience cyclones and tidal flooding and experience severe drinking water scarcity due to salinity. Under the project, communities will be empowered as ‘change-agents’ to plan, implement, and manage resilient livelihoods and drinking water solutions. 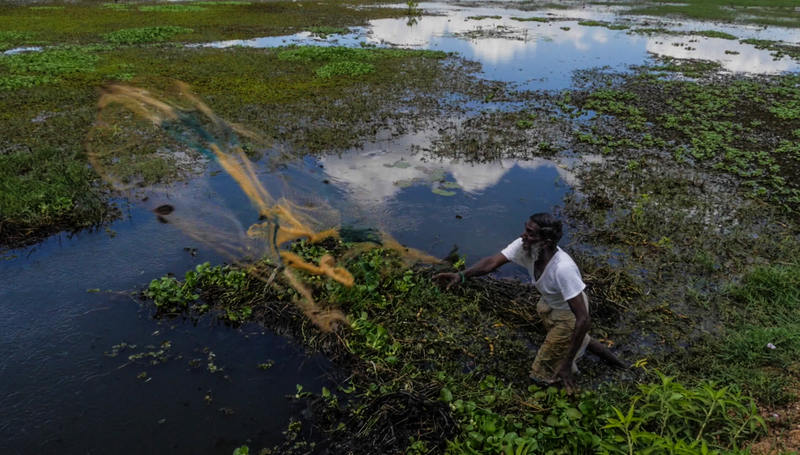 The project will promote a paradigm shift away from a focus on short-term responses and technology-led interventions towards community-centric solutions that build ownership and capacities across multiple stakeholders, to sustain and scale-up adaptive responses to safeguard livelihoods and water security. An estimated 719,229 people (about 245,516 directly and 473,713 indirectly) are set to benefit. An estimated 719,229 people (about 245,516 directly and 473,713 indirectly) are set to benefit from this project. Overall, the project will benefit 719,229 direct and indirect beneficiaries in vulnerable coastal districts of Khulna and Satkhira (about 16.25 per cent of the total population of the two districts) with 245,516 people directly benefiting from the project interventions in building resilience across water and livelihoods through household, community, government, and partner capacities. The interventions will provide indirect benefits to 473,713 people to the nearby communities in the targeted Wards and other unions in the 5 Upazilas through integration of climate change concerns into planning and implementation of the mandated agencies as well as the pathways established for replication to other communities through knowledge and learning mechanisms. 25, 425 women will directly benefit from the interventions to switch to (or phase in) climate-resilient livelihoods with associated 500 people benefiting from capacity building and support to value-chain and market actors. 245, 516 people will benefit from timely, gender-responsive early warning information and climate risk reduction strategies, facilitated through the women and girl volunteer groups established by the project at each of the targeted wards. 68, 327 females and 67, 783 males will benefit through year-round access to safe and reliable drinking water improving their health and safety, and significantly decreasing the unpaid time burden of women in regards of water collection and thereby creating opportunities for education and/or enhanced income generation. 525 government staff will benefit from improved capacities for climate-risk informed planning and implementation of resilient solutions for water and livelihood security. The project support to women groups for climate resilient livelihoods options in aquaculture and agriculture yields increased income benefits and enables participation in the formal economy, for a total expected increase in income of USD15 million (over the full life of the project). By providing an alternate higher quality source of water, salt intake by the population in the target communities will substantially decrease deaths and averting quality adjusted life years (the rainwater harvesting technologies have sufficient capacity to provide for basic drinking water needs even in times of low precipitation), for net benefits measuring US$4 million. A project implementation report will be prepared for each year of project implementation. The annual report will be shared with the Project Board and other stakeholders. An independent mid-term review process will be undertaken and the findings and responses outlined in the management response will be incorporated as recommendations for enhanced implementation during the final half of the project’s duration. An independent terminal evaluation will take place no later than three months prior to operational closure of the project. Monitoring, reporting and evaluation arrangements will comply with the relevant GCF policies and Accreditation Master Agreement signed between GCF and UNDP. 'UNDP, Government sign $33m climate adaptation project' - The Daily Star, December 28 2018. Secretary to Economic Relations Division (ERD) Monowar Ahmed and UNDP Country Director Sudipto Mukherjee signed the project document at the ERD yesterday. 'Bangladesh to empower women and girls in the face of increasing climate impacts' - UNDP Bangladesh, February 28 2018. 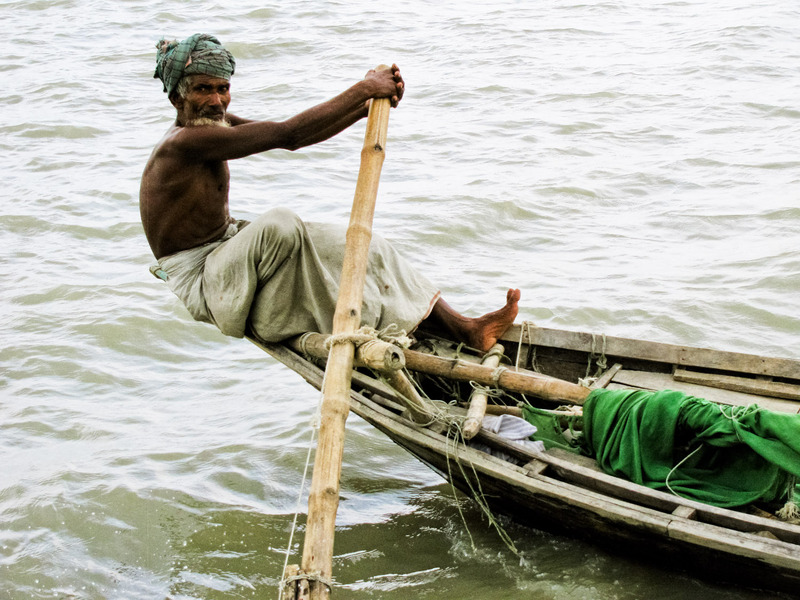 The world's largest multilateral fund for climate change action, the Green Climate Fund, has approved almost US$25 million in grant funding in support of Bangladesh’s efforts to build the adaptive capacities of vulnerable coastal communities. 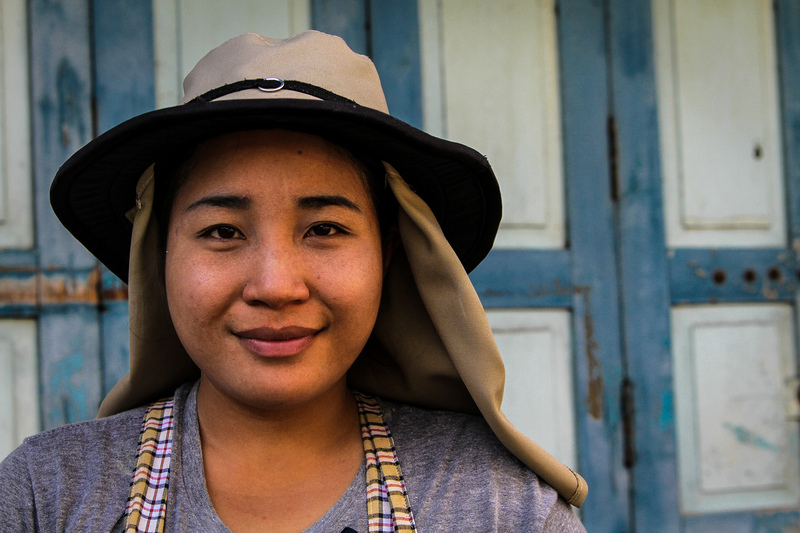 With a focus on women and adolescent girls, a new 6-year project is set to benefit 700,000 people living in disaster-prone southwestern districts. Lead by the Bangladesh Ministry of Women and Children Affairs, this project focuses on strengthening the adaptive capacities of coastal communities, especially women and adolescent girls, to cope with impacts of climate change-induced salinity on their livelihoods and water security. The 6-year project (2018-2024) focuses on the Southwestern coastal districts of Khulna and Satkhira, both of which frequently experience cyclones and tidal flooding and experience severe drinking water scarcity due to salinity. Under the project, communities will be empowered as ‘change-agents’ to plan, implement, and manage resilient livelihoods and drinking water solutions. The project was designed through extensive stakeholder consultations, including with civil society, bi-lateral donors, and communities and contributes towards the Government of Bangladesh's priorities outlined in the country's Nationally Determined Contributions (NDC) and climate change strategies. Civil Society Organizations (CSOs) were consulted with the objective of gathering feedback, particularly on gender considerations and gender empowerment strategies in Bangladesh, as well as on the full design of the project and the proposed activities, including the exit strategy.